View our package deals to save money. Great job...has been one week and all ants have gone (inside and out!) And have seen a lot of dead spiders an cockroaches outside of the house. Thank you :). Awesome service, went above & beyond and was on time. Will definitely recommend to family & friends. Amazing service.....would highly recommend and will definitely use again. Very friendly, professional service and great job done. Highly recommend. Very friendly and thorough will be getting back again for sure!. At pests out we take the guess work out of looking for termites and make sure we give You our customers the best service that we can. Pests Out WA have invested in using Termatrac technology so that we can help you with your investment and also have the confidence and security you have chosen Perths best pest control service provider. At Pests Out WA we believe in a professional approach, not only with regards to service delivery but also in cementing partnerships with our customers. Our pro-active methods in tackling all aspects of pest problems combined with our commitment to putting our customers’ needs first is the key to our success. Our approach to helping you manage your pest control needs in Perth is based on our own high expectations including punctuality and service. Utilising an integrated pest management approach to all pest problems presented, our last resort is the use of chemicals. Rather we seek to modify or alter the environmental conditions which pests seek. We offer free inspections and estimates in order to help you make the right decisions, often with a variety of options available. We hope this site provides you with the information you need. If we can help further with anything relating to pest control services in your area please do not hesitate to contact us. Prices based on a standard residential dwelling, if property outside of this guide a free quote will be given. Prices start at $110 and depend upon the extent of the infestation. $110 is charged for a pet bond flea treatment for rental properties. This treatment includes a one-off internal treatment to internal carpets and skirtings, external perimeter, paving and garden beds. For more information please refer to our pests page on fleas. This treatment includes a one-off treatment against mice to internal and external areas plus roof void and any other known areas of infestation. A three month warranty is provided. For more information please refer to our pests page on mice. This treatment includes a one-off treatment against rats to internal and external areas plus roof void and any other known areas of infestation. A three 3 month warranty is provided. For more information please refer to our pests page on rats. This treatment includes external and internal treatment against spiders including the roof space. Should you require external areas and roof space only and no other internal areas, refer to our package 1 price @ $140. Includes treatment to internal areas where required, roof void, external perimeter, window frames, eaves, fence lines, downpipes, bins, pergolas, sheds, garages and all known spider harbourage areas. A three month warranty is provided. For more information please refer to our pests page on spiders. This treatment is a special deal for external treatment against spiders. We treat the external perimeter, window frames, eaves, fence lines, downpipes, bins, pergolas, sheds, garages and all known spider harbourage areas. Due to the value it can only be offered locally to us, unless we are in your area, further premises or travel can be negotiated. Includes a three month warranty. For more information please refer to our pests page on spiders. This treatment includes internal inspection and treatments against German cockroaches using a highly effective combination of chemicals including an attractant insecticidal spray. Includes for main treatment plus follow up visit. Be aware some infestations may potentially require excessive work beyond the value of this. For cockroaches externally refer to our package 1 offer. For more information please refer to our pests page on cockroaches. Removal of snake from property and relocation to nearby native bushland. This service includes for up to 40 minutes on your property (plus relocation). Extended searches /surveys or advice extending over the time stated will be at additional cost. For more information please refer to our pests page on snakes. This treatment includes insecticidal dusting of roof void and insecticidal spray treatment external perimeter of home, walls, window frames, pavers, garden and lawn areas. For more information please refer to our pests page on millipedes. 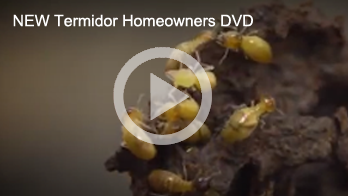 Annual termite inspections protecting your biggest investment. For more information visit our services page. Based on a standard 4x2 home with concrete floor. The price for 4x2 with sub floor would be $200. For more information visit our services page. Our package deals offer you peace of mind and ensure you get the best deal. Included in the packages are warranty periods. If you have pests during the warranty period we will return and treat them free of charge. At Pests Out WA we have pest control packages to suit your needs. If you require a termite inspection in addition to the lower pest control packages for example (Package 1 to 3 ), this would only be an additional $90 based upon a 4x2 slab-ground house. Pest control package deals are a great way for you to save money and to protect against different kinds of pests at the same time. Package deals allow you to save money by avoiding additional call out fees. We can easily make sure that the right amount of treatment is applied to the right areas to tackle different pests and to give you peace of mind so that they don’t bother you again! We would love to hear from you. Please fill in the form below or give us a call. We get great satisfaction by helping our customers. If there is anything we can do for you, please let us know.